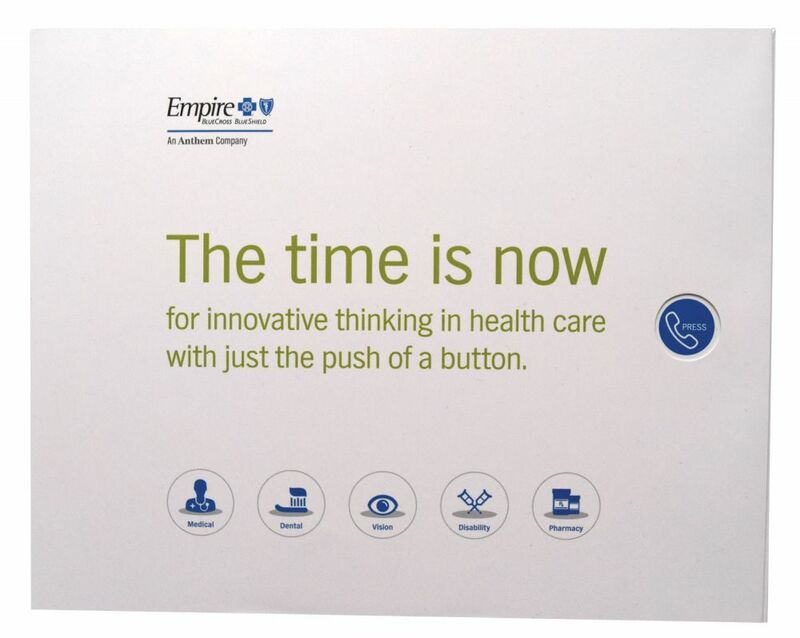 In the cluttered and confusing world of insurance information, Empire Blue Cross wanted to reach key prospects in a way that both personalized the prospecting process and also encouraged potential customers to reach out directly to their sales reps.
Americhip put the call right into the customers’ hands—literally. Our patented Mobile in Print technology actually allows calls or texts to be made directly from the printed page! Just press the button, and immediately you’re connected to the number that’s been programmed just for you. Or, for those who are a little shy about taking the first step, Americhip can add a button that sends a pre-written text requesting a call from the sales rep. Our extraordinary Mobile in Print technology allowed Empire Blue Cross to direct calls from certain regions to one group of reps while directing other regions to different groups of reps. With Mobile in Print, you can customize and personalize your messaging. Let’s work together to make the right call for your prospecting, development and outreach needs.